The best flour to use is Wondra flour which is available in the U.S.A. and is more coarse than all purpose flour. 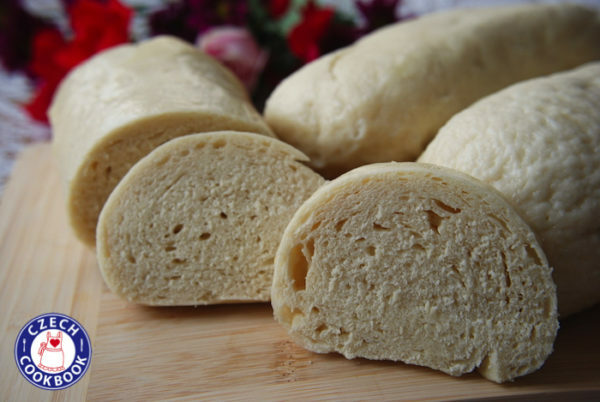 Since Wondra flour is not commonly found outside of the U.S., here is a list of matching flour types contributed by people in the Czech Cookbook online community who live outside of the U.S. Every flour type weighs and hydrates differently so try with a smaller amount than this recipe specifies and then add flour as needed. Thank you for recipe I have had no success making my mom’s dumplings it took her a few years to find the right flour here in Can. It was when she found instant flour that had a coarser texture it worked out well. Unfortunately it is not on the market anymore. I have also never heard of Robin Hood Nutra Flour but will search. There is also coarse flour at the Bulk Barn that I will try. Yes Polish stores carry Krupczatka flour that works great. For I don’t have any Polish or Russian stores close by.